English menu, PC software in English! Transducer of alpha, beta and gamma rays. Every event log is marked with the time of the log. This would be useful for report generations of the measurements made or for the analyzing your measurements in the future. 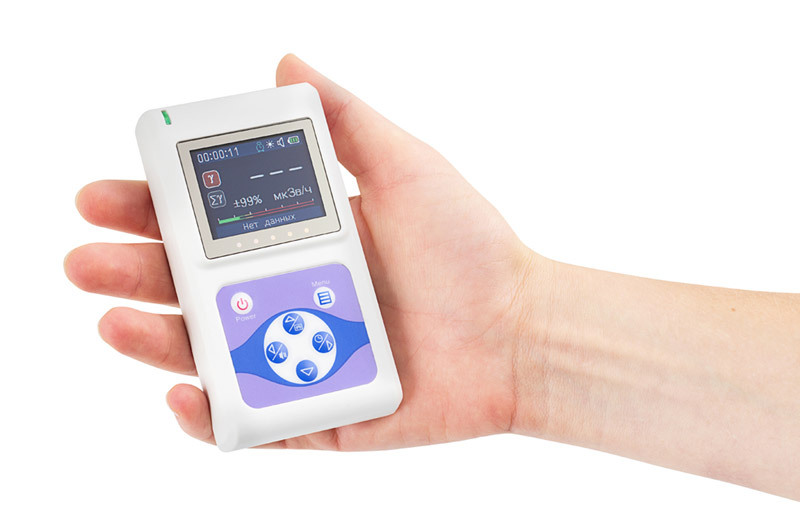 This function will signalize to you when it finds a high radiation zone or any subjects with high radiation around you, this would help you to avoid the radiation of your body. 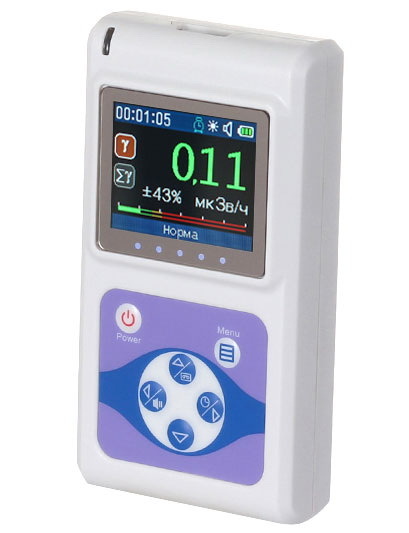 Dosimeter RadiaScan 701 can fluently work with USB connection to ac power outlet or computer. For mobile use it is enough to set up two AAA batteries. The Radiascan 701 Geiger Counter / Radiation Detector carries the CE mark, certifying that it is in conformity with the essential requirements of applicable EC directives.